To book a proposal at the Kentucky Derby Museum, contact TeAirra McQuarter at tmcquarter@derbymuseum.org or (502) 635-5955. All packages include General Museum admission for the happy couple. 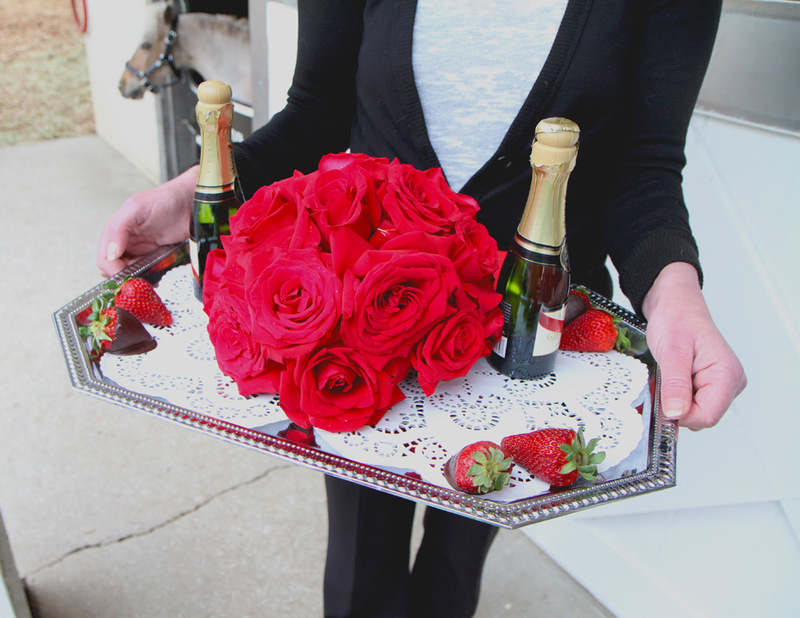 Surprise your prospective partner by popping the question during a 30-minute private tour of Churchill Downs Racetrack. As you make your way from ground level to the 4th floor of the clubhouse, enjoy the beautiful scenery with your potential partner. 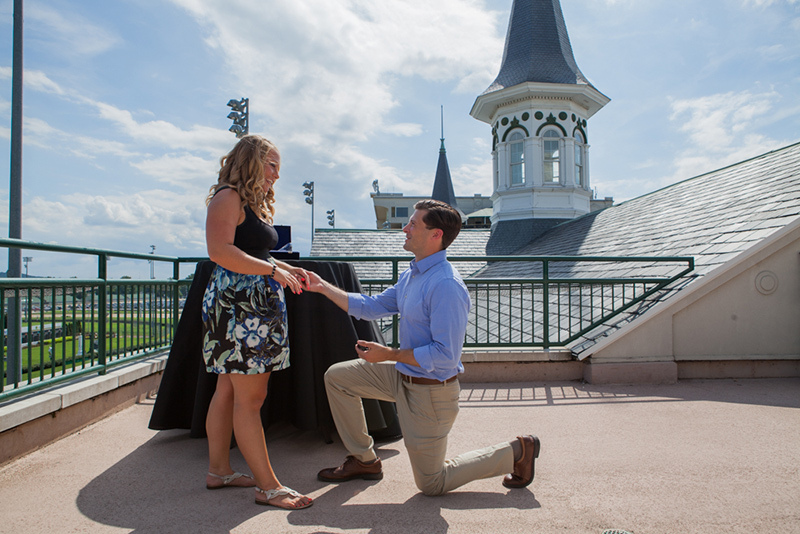 Once you’ve reached the infamous Twin Spires, our professional photographer will capture the excitement of your special moment, 48 feet high above the legendary racetrack. 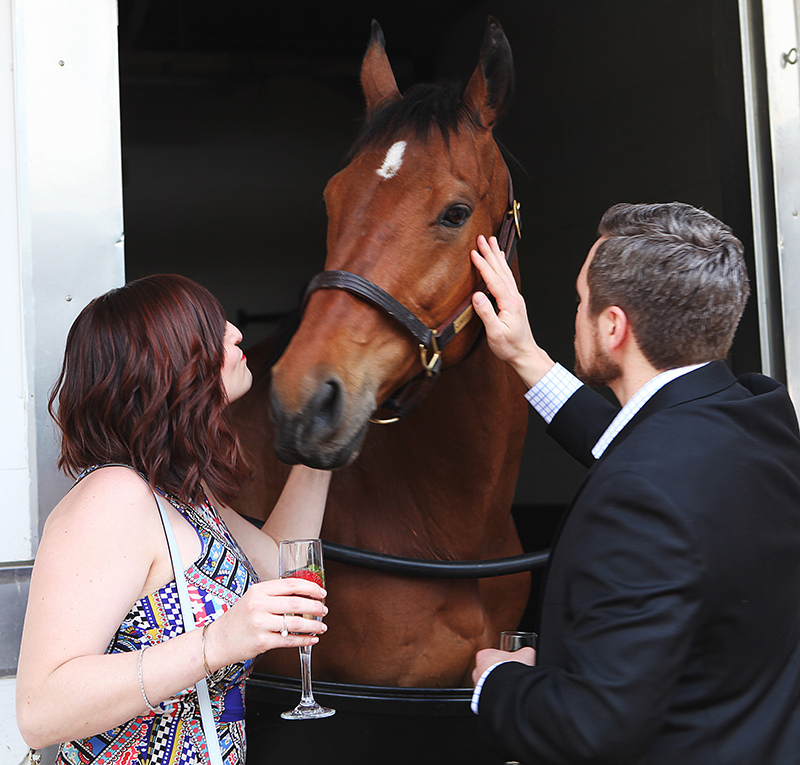 Cross the finish line with us and our companion horse! You'll enjoy a private 30-minute guided tour of Churchill Downs Racetrack and learn some Derby history on the way. 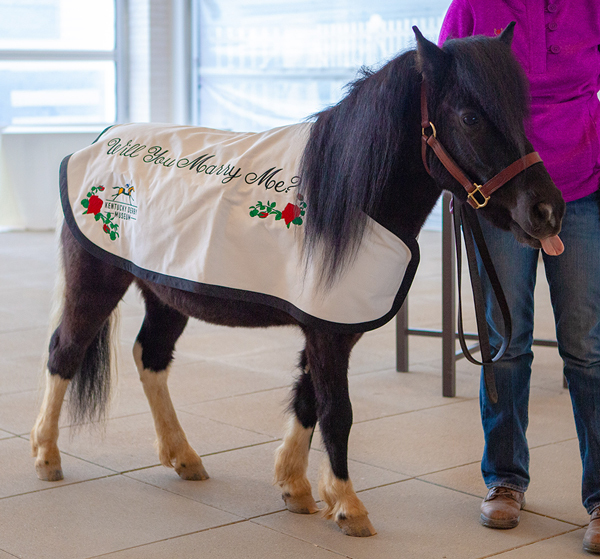 The tours end back to the Museum, in our stable area in the Museum’s Oaks Garden Terrace where our companion pony will be revealed wearing a proposal blanket embroidered with the words "Will you Marry me?" Family and friends are welcome to wait for a surprise ending in the Derby Cafe Express and pop out for photos of the happy moment. Enjoy a private 30-minute guided tour of Churchill Downs Racetrack, ending with a private viewing of "The Greatest Race.” The 360- degree, 18-minute movie in our racetrack-shaped theater is an immersive tribute to the Kentucky Derby. Following the movie, your customized and personal message will appear on the screens. Imagine seeing the words "_____ will you marry me?" on a 10’ tall screen, 20’ in the air!